Posted by aconsciousappetite in Food, Oink Oink, What's Cooking? Congratulations Oracle Team USA for going head-to-head on the final Match Race, AND taking the Fleet Race Championship! As for me, I had a championship caloric and fat-filled week, whoopee! 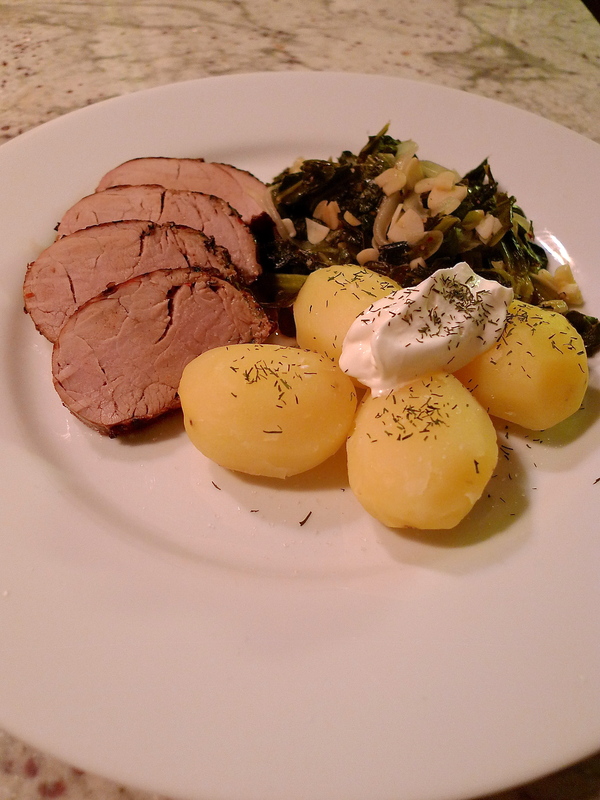 So bf and I made a simple, healthy Sunday dinner. 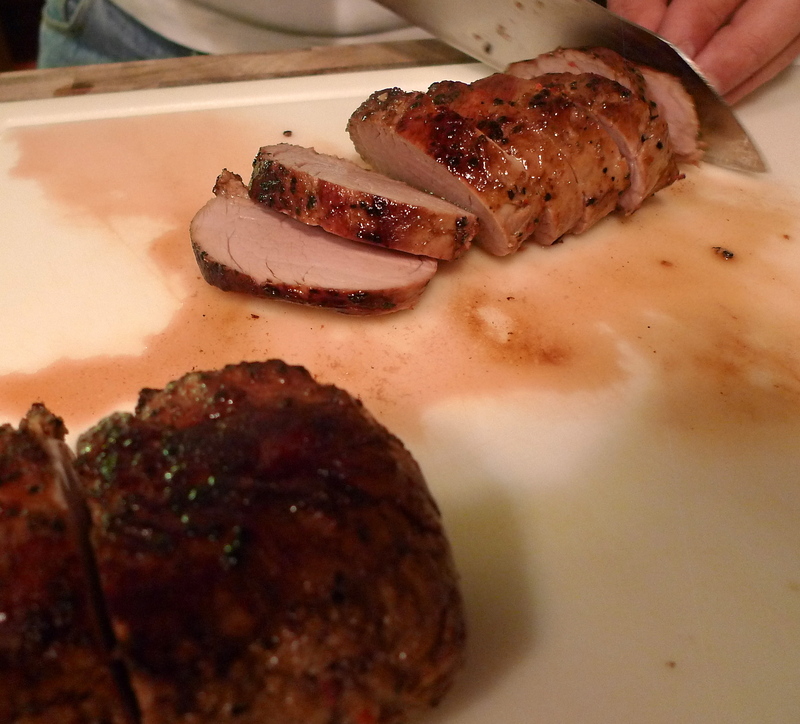 We started with a beautiful pork loin that was marinated, seared and finished cooking in the oven. On the side, sautéed kale (cooked with olive oil and chicken stock), onion and garlic. Peeled and boiled baby potatoes with a sprinkling of dill and a dollop of sour cream. 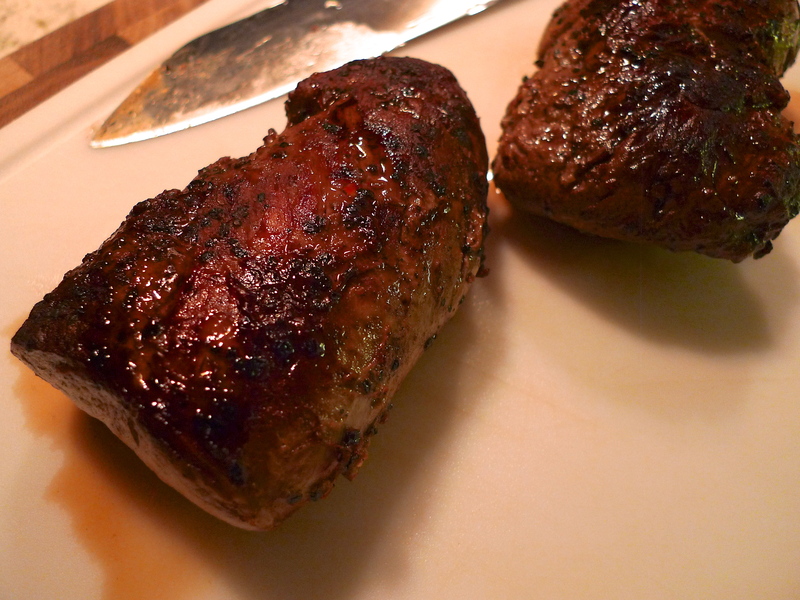 It looks rather dry on the photo, but the pork was tender and juicy. Simplicity at its finest! Both bf and I agreed that it completely hit the spot after a week of indulging in rich restaurant food. How was your weekend? Mine was very nice, thank you. After a full week, I had some downtime at home and got to spend a little time with my family and one of my brothers who is visiting from out of town. San Francisco is looking quite lovely. I caught Oracle Team USA practicing out on the bay. 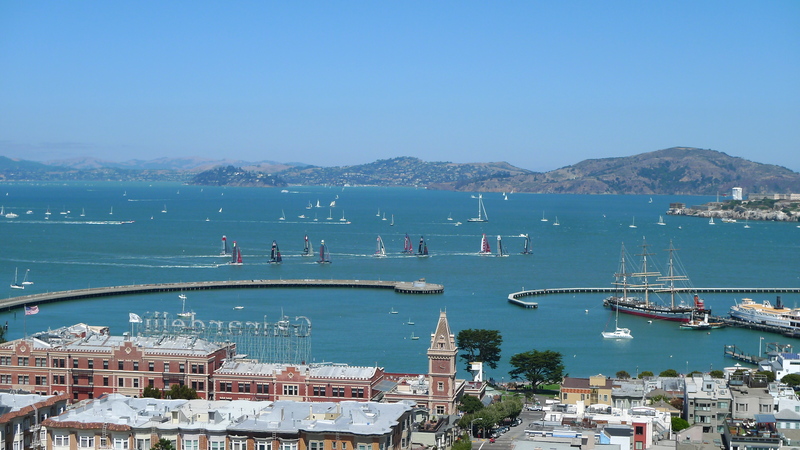 The city is geared up for hosting America’s Cup 2013! The America’s Cup is the oldest trophy in sport. Only 4 countries have ever won the America’s Cup (USA, New Zealand, Australia & Switzerland). The boats will be racing less than 100 feet from shore in the San Francisco Bay, the first time ever in America’s Cup history. Here is also a glimpse of our pretty fog. 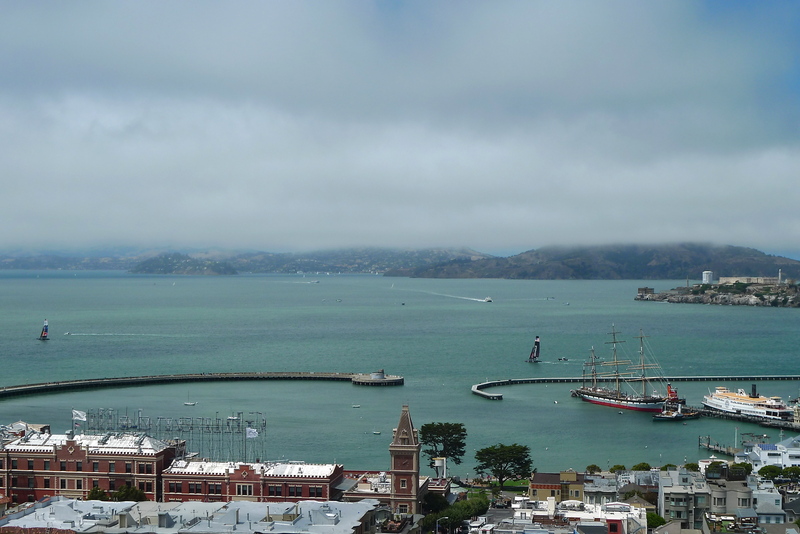 It is quintessentially San Francisco to see this out of my window…so calming. The best part is hearing the fog horns. At night they lull me to sleep.